A YOUNG hotel manager who started working life as a teenage waiter has ascended to one of the most pivotal roles in the business. Despite being just 21 years of age, Cameron Barlow, runs a team of 20 and is responsible for the successful delivery of hundreds of weddings and events every year. 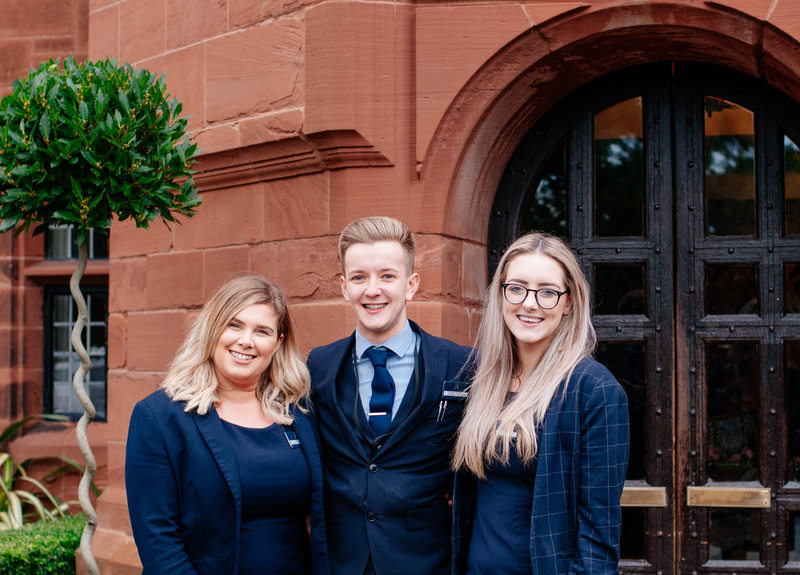 The rising star of the Abbey House Hotel and Gardens is preparing to celebrate five years with the business - and he has his eye firmly on the future. Cameron, a former pupil of Walney School and student of Kendal College, said: “It was never my intention to pursue a career in hospitality but the more I experienced, and the more involved I became, the more I could see a future. “I started off waiting in the restaurant and at weddings and over time was given more responsibility to the point that I was a supervisor. “I shadowed my manager through a wedding from start to finish and started to be more active in the coordination of them and was eventually running them from start to finish with just a little supervision. “I have officially been in my position of wedding and events manager since January 2018, although I had been doing the role for a while before then. The team at the Abbey House Hotel and Gardens is approximately 100 strong. General manager John is a strong believer in developing young talent. He said: “Cameron has shown real commitment and is clearly a very talented and capable young man. “As a business, we are keen to invest in and recognise team members who show promise and are willing to go the extra mile. 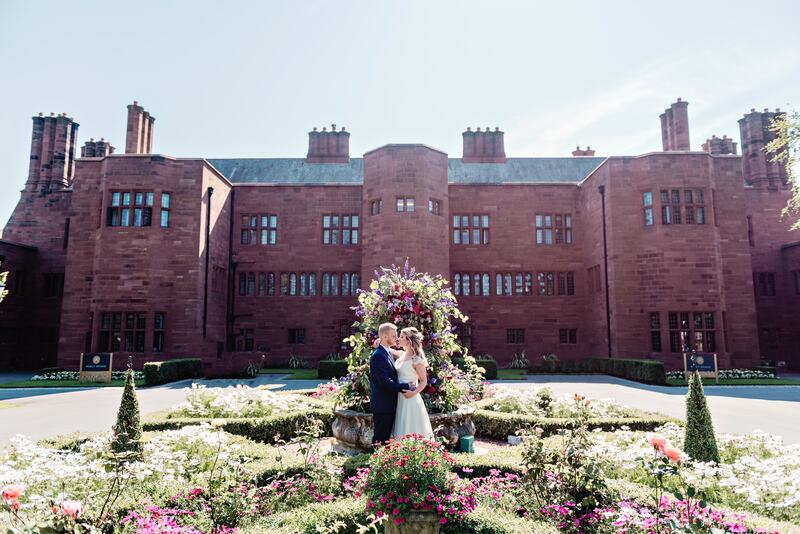 As one of the region’s most celebrated wedding venues, demand has seen the hotel almost fully booked for weddings this year, with only limited availability for 2020. Cameron estimates he has been involved in upwards of 400 weddings, with at least 200 coming under his direct supervision. Every element of the big day rests on his shoulders - a responsibility which is not lost on the young manager: “Attention to detail is crucial,” he says. “You only have one opportunity to get it right on a wedding day; once the chance to do that has passed, there is no going back. “It is the feedback which motivates me. Reading couples describe their wedding as the best day ever or perfect is great. With multi-million pound plans to extend the function capability at the hotel - and therefore introduce the ability to host even larger weddings - Cameron has no plans to move on just yet: “This is a fantastic place to work and there is an exciting future ahead. The four-star Abbey House Hotel sits among 14 acres of glorious gardens and woodland in south Cumbria, just a stone’s throw away from the Lake District. It is home to the critically acclaimed AA Rosette Oscars Restaurant and Bar which serves seasonal food made from the best local ingredients. 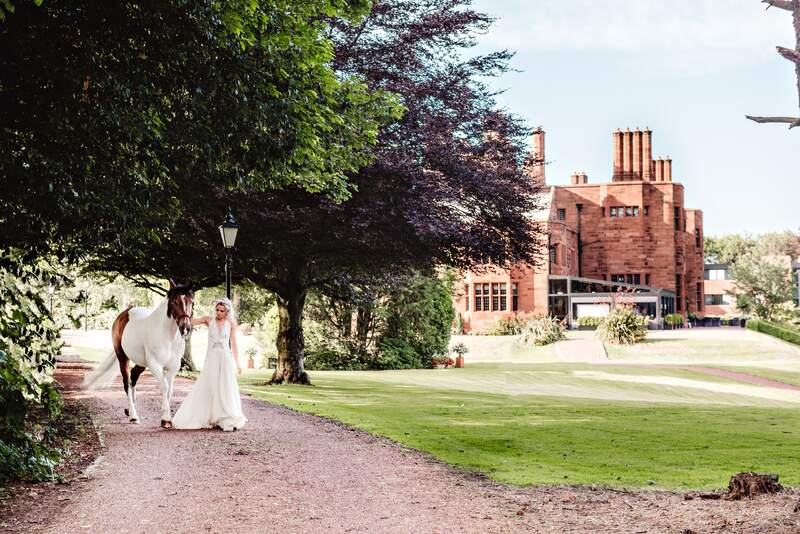 The hotel is an award-winning wedding venue and is almost fully booked for 2019. It employs a team of approximately 100 people and is led by general manager John Horton. This press release was issued by 32West on behalf of the Abbey House Hotel and Gardens. If you have any questions or requests, please contact James Higgins on 01229 584 119 or 07553203234. 32West is a PR and media relations business which works with a diverse portfolio of clients across the legal, financial hospitality, technology, education and housing markets. © Copyright 2019. 32West Ltd.